Time to rock another set of 10 interesting models out of the GrabCAD library! Are you ready? We've got a everything from odd musical instruments to surfacing tutorials, super yachts to chess sets. Take a look, then hop over to check each one out. Hit it! Well, we can't very well go through October without a Jack-o-lantern, and boy do we have a cool one. 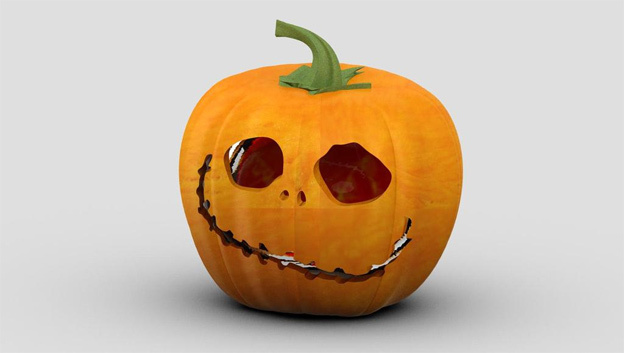 This cheeky looking Jack-o-latern (Pro/E and STEP) by Dlviir Singh Soohl is just one of the entries in the Scary Design contest going on right now. This odd four wheel drive Ferrari is now one of my favorites thanks to Hamza. 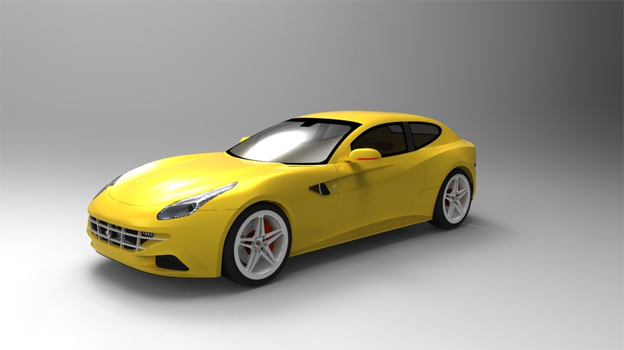 He's modeled this Ferrari FF (SolidWorks 2011/STEP) with a lot of attention to detail and the renderings are starting to stack up. Upload one of your own! Here's a musical instruments I bet you don't have a model of. This Hurdy Gurdy by Fernando Padilha is a stringed musical instrument that produces sound by a crank-turned rosined wheel rubbing against the strings. 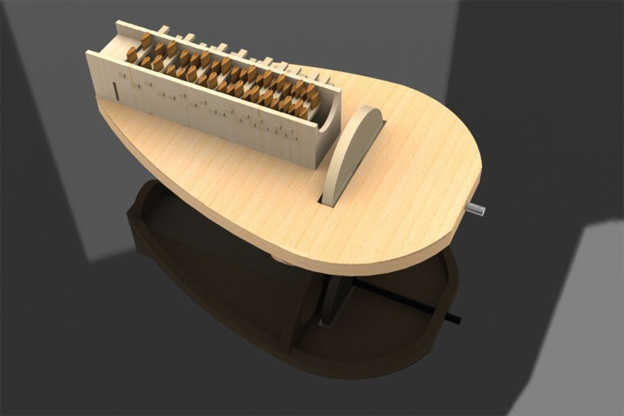 Click on through to download the model and get a little more info on the odd instrument. This 1930's interior period piece is a great representation of the classic style of the Art Deco period. 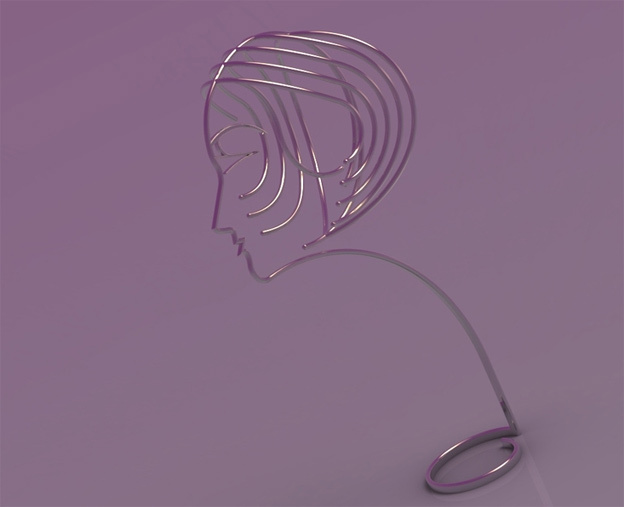 Tony Westmoreland modeled this Art Deco hat stand and has made it available for anyone to download in STEP format. 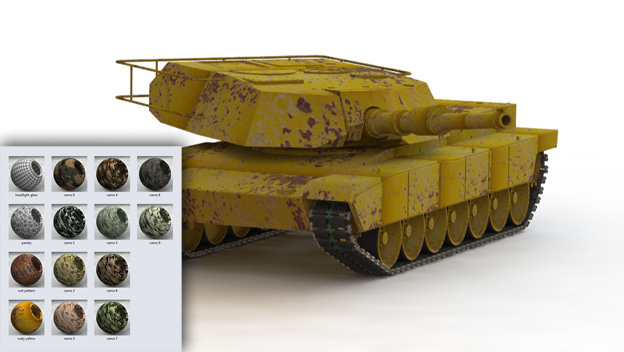 Yes, another item that you may not have in your model arsenal. A Vinegar Retractor (STEP) by CAD-MECA. Not only does he provide a model with construction guidelines, an explanation of the contraption and its usage is given. Very nice! 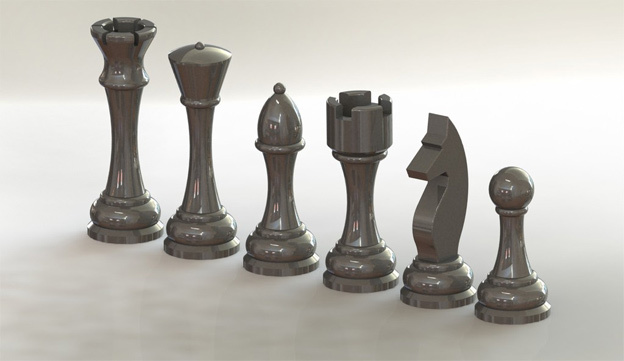 We've got a few chess sets on GrabCAD and some pieces, but these Chess figures (SolidWorks 2011) from Maragera are truly exceptional. He's also provided all the dimensional data for each piece. David Thomas was kind enought create and share a set of SolidWorks Materials. These work together with RealView and PhotoView 360e. Just unzip to the preferred folder and add it to SolidWorks via the Appearances tab. 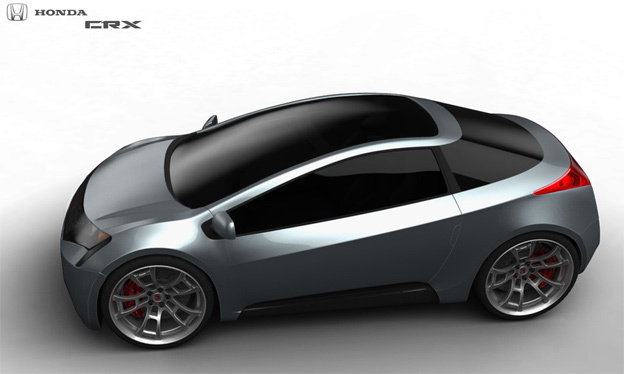 This Honda CRX Poly to Nurbs tutorial (STEP/OBJ/PDF) is a wonderful introduction to working with surfaces when going between polygonal and solid modeling programs. A big thanks to James Robbins for putting this all together! 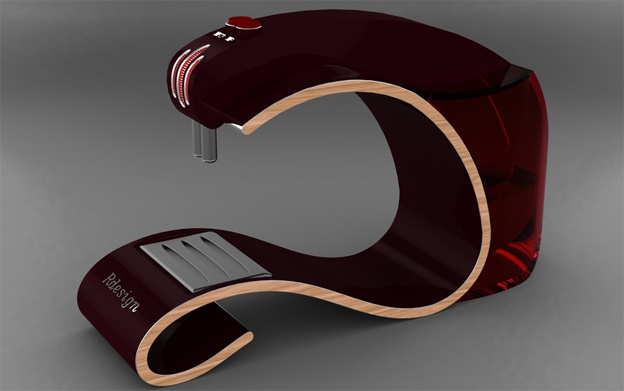 Good ol' Robert Voogt is at it again with an exceptional concept model of a Coffee Maker (SolidWorks 2011). This will surely have you sippin' your coffee in style. Neew Grabcadder Tony Westmoreland has been busy over the past week sharing all sorts of interesting models of boats, including this Super Yacht structure (STEP). 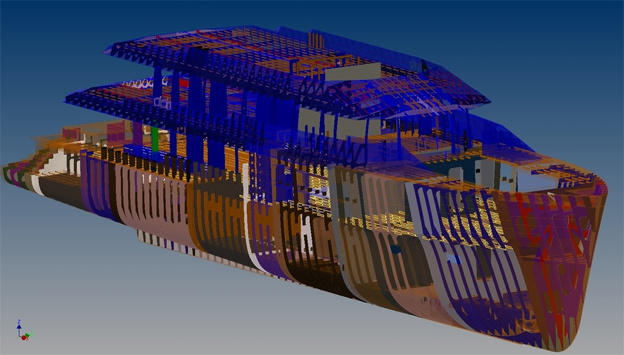 A massive piece of modeling that takes you into the world of marine design. Thanks for sharing Tony! That does it for another round of the Top 10 most interesting models on GrabCAD this. To see the previous week models you can view the CAD MODELS category. And remember, if you have a questions about anything CAD or Engineering related, stop by the new GrabCAD Q&A to check it out! Thanks again everyone. Until next time!